The wonderfully bitter, floral juice of bergamot oranges makes the perfect vinaigrette when combined with olive oil. 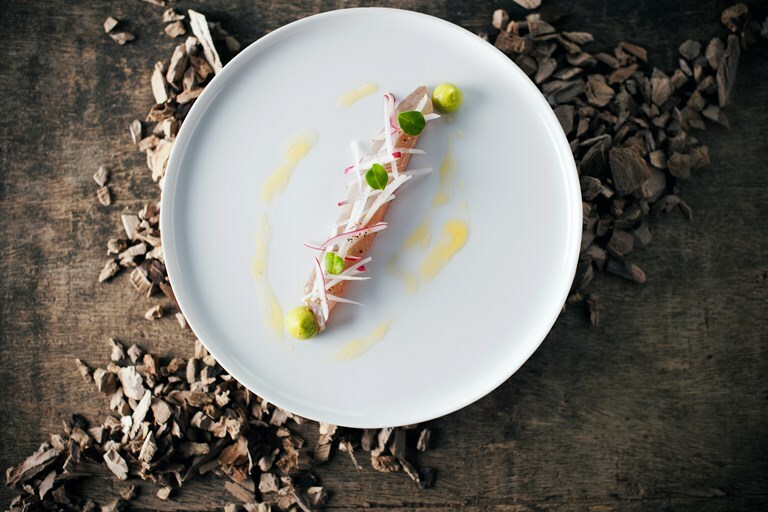 Peter Coucquyt shares his delicious recipe for Smoked mackerel with avocado and bergamot, which is freshly smoked using wood chips and a metal tin. Peter recommends using pear smoking wood chips, however, other varieties will work just as well. As co-founder and chef of www.foodpairing.com, Peter is in a continuous quest for exciting combinations.